(GIRARD, PA) – Pennsylvania Sea Grant and the Lake Erie Region Conservancy proudly announce the award of two grant applications, funded through the Commonwealth of Pennsylvania’s Community Conservation Partnerships Program. 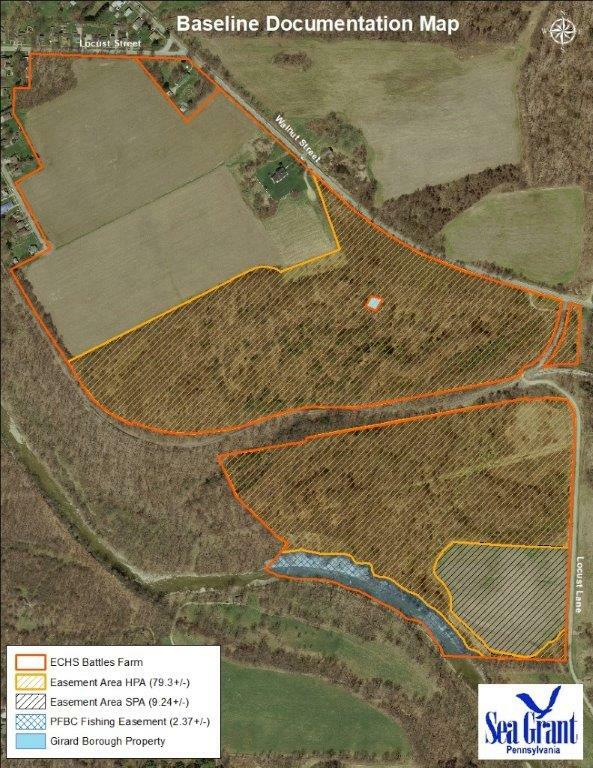 The funds will be used to purchase an 88-acre conservation easement on the historic Battles Farm property owned by the Erie County Historical Society (ECHS) as well as to acquire a 182-acre tract, currently privately owned, known as the Gilmore Farm. 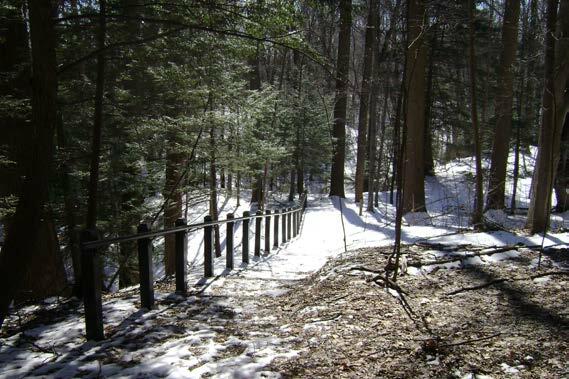 Both projects, located in Girard, PA, preserve and protect natural and cultural resources. The grant awards, totaling approximately $550,000, will permanently conserve 270 acres of open space, protect critical wildlife habitat, and provide over 6,000 feet of Elk Creek as stream access for anglers. Walking trails already exist at the Battles Farm site for the community to enjoy, and more trails are under consideration. Plans for the Gilmore Farm site include improved parking and trail access to the creek. “The conservation easement and fee simple acquisition will protect the properties from being subdivided, fragmented or developed, which benefits the local community, economy, water quality of Elk Creek, and wildlife,” said David Skellie, PA Sea Grant’s Coastal Land Use & Economic Specialist. Through these conservation efforts, PA Sea Grant and the Conservancy hope to connect people to nature by protecting and enhancing the open space, forested acres, and enhancing existing walking trails and access to encourage visitation. “In addition to the perpetual protection benefits, both projects will also ensure that current and future generations can enjoy visiting the properties for nature-based recreation via walking trails and creek access” Skellie said. The Battles Farm, owned and overseen by the ECHS is currently open to the public and recognized as a historically important cultural and agricultural site. Built in the mid-late 1800’s, the 300-acre farm produced potatoes, corn, wheat, and barley, and nut trees, grapes, and a fruit orchard once flourished. Today, only 131 of the 300 acres remain under the care of the HSEC, the other 169 acres sold or developed over past decades. The farm hosts a mature and diverse woodland of native trees, along with a more recently planted grove of American Chestnut. Visitors can explore the farm and woodlands via a modest walking trail. Trailhead signage encouraging responsible stewardship of the property, along with a tree identification pamphlet, help to educate visitors about the natural beauty, trees, and wildlife that live there. The conservation easement will preserve 88 of the remaining acres. The second project will consist of the acquisition of 182 acres, part of the privately owned Gilmore Farm, permanently protecting a substantial portion of the Elk Creek Natural Heritage Area, and creating a new destination for nature-based tourism through managed public access to the site. Elk Creek, a world-class steelhead fishing stream, generates millions of dollars through angler visits and associated recreational expenditures. Through this grant, 6,000 feet of streambank will be conserved providing wildlife habitat and safe creek access for anglers. Funding for these efforts come through the Community Conservation Partnerships Program, overseen by the Pennsylvania Department of Conservation and Natural Resources. Learn more at www.dcnr.pa.gov, where you can also view the complete list of statewide awards. The Lake Erie Region Conservancy, with the assistance of PA Sea Grant, has already been awarded matching funds from the Pennsylvania Fish and Boat Commission and the Erie Insurance Giving Network. Visit PA Sea Grant's Land Conservation & Public Access web page for more information. 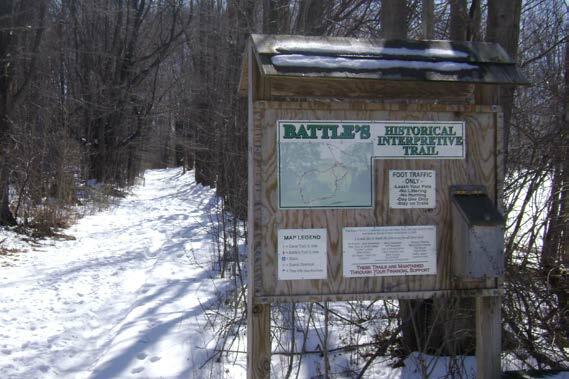 Below: Low impact walking trail at Battles Farm, Girard, PA; Conservation area at Battles Farm; and map of Battles Farm.